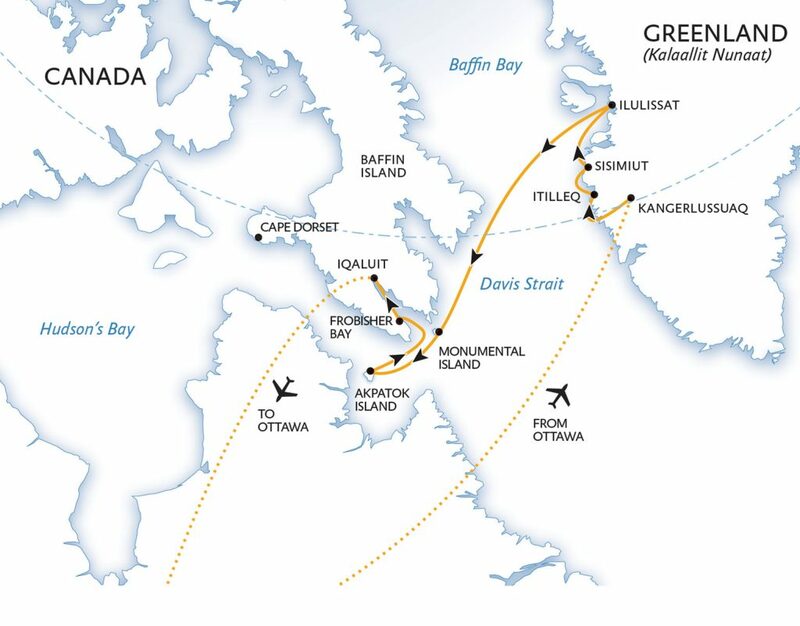 Greenland cruise: Inuit culture and traditions combined with the incomparable beauty of the country’s rugged nature. 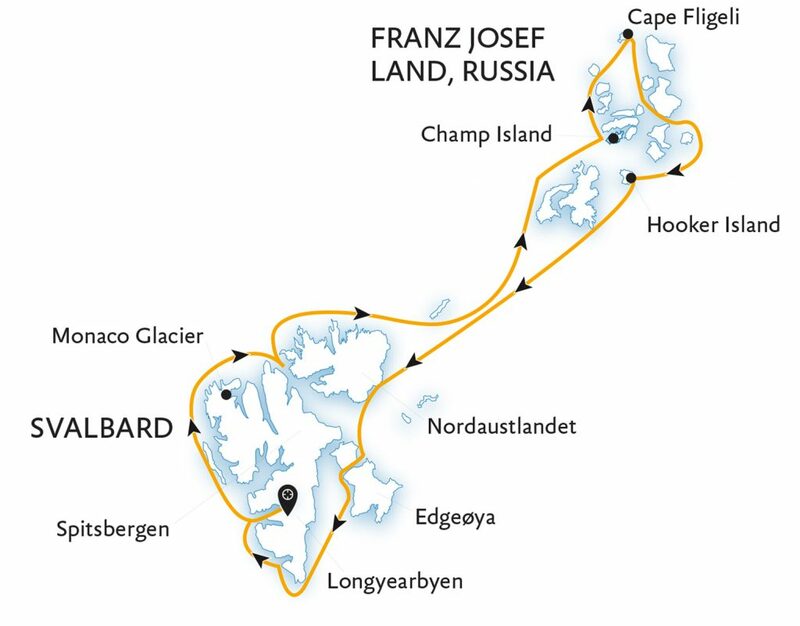 Expeditions to the High Arctic regions of Canada and Greenland and the northernmost Russian islands. 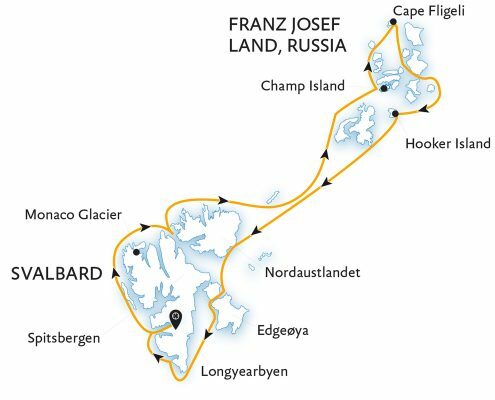 Areas of wild, savage beauty peppered with jagged mountain peaks, majestic glaciers towering high over the ocean and hidden fjords locked in pack ice. 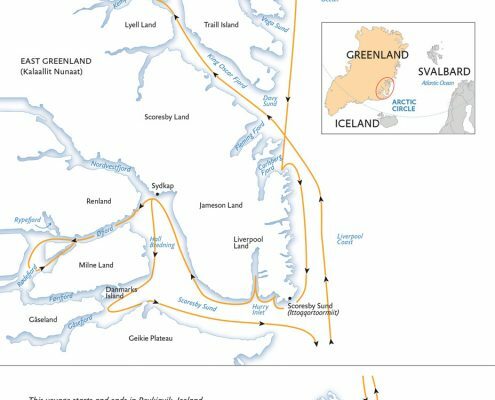 A cruise to Greenland also provides a unique opportunity to meet the most northerly peoples on the planet who still live completely cut off from the rest of the world. 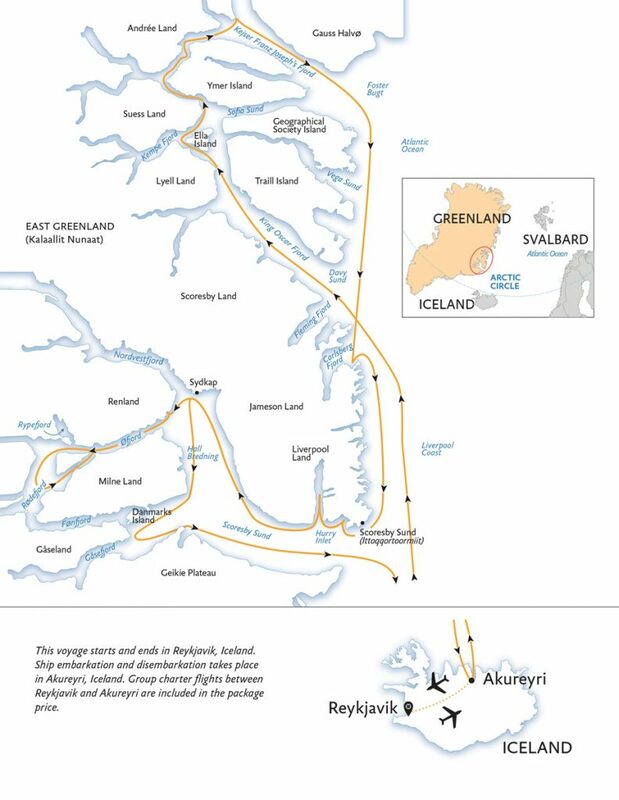 Passengers explore archaeological sites dating back 4,000 years too. 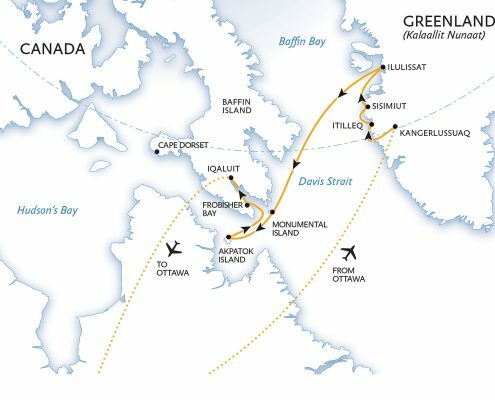 You will be captivated by the land of the Inuit and the Northern Lights where polar bears, muskoxes and walruses are protected.